Vasilica Viorica Dăncilă (born 16 December 1963, Roşiori de Vede) is a Romanian politician, member of the Social Democratic Party. In 2014, she was elected as deputy in the European Parliament for a second term on the PSD lists. Viorica Dăncilă is also the chairman of the Social Democratic Women Organization since 2015. Viorica Dăncilă became a Member of the Social Democratic Party in 1996, in the PSD Organization of Teleorman County. Over the years she has held several positions in both PSD and the local administration. 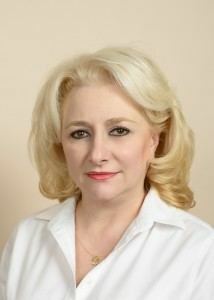 Viorica Dăncilă was a local councilor and a county councilor until 2009, when she was elected MEP for her first term. 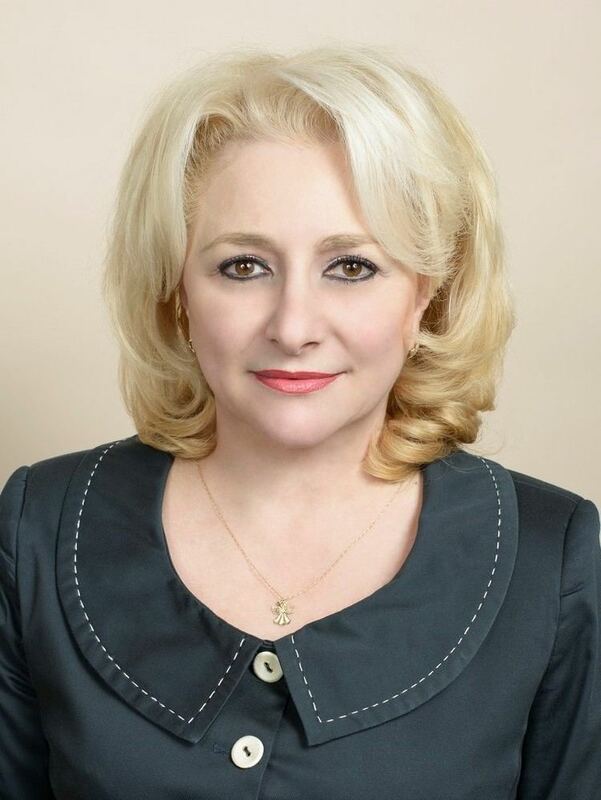 Also, Viorica Dăncilă occupied several leadership positions in the party, as president of the local organization, vice-president of PSD Teleorman and president of Teleorman OFSD (Women’s Organization). She is currently the national president of the Social Democratic Women’s Organization (OFSD). Before entering politics she was an engineer with Petrom SA and prior to that a teacher at Videle Industrial Secondary School. In 2009, Viorica Dăncilă was elected on the lists of the Social Democratic Party for her first term as a member of the European Parliament. She has been active in the Progressive Alliance of Socialists and Democrats group. In 2013 she was designated as the European Parliament rapporteur for the 2014 Budget on Agriculture in Europe. For the 2009-2014 mandate, Mrs. Dăncilă was the rapporteur of the S&D group for 15 reports, including one on the role of women in agriculture. In 2014, Viorica Dăncilă was elected for another term as MEP on the Social Democratic Party’s lists. She is also the leader of the Romanian Social Democrat members in the EP. 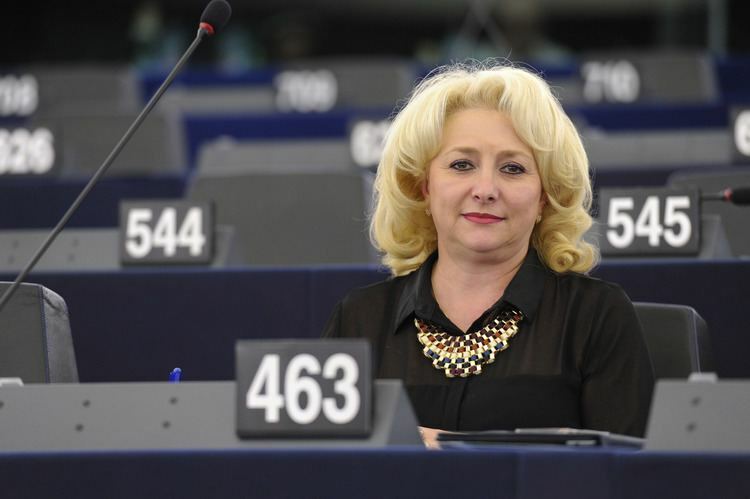 Viorica Dăncilă is the vice president of the EP Committee on Agriculture and Rural development. She is also a full member of the Committee on Women's Rights and Gender Equality and a substitute member of the Committee on Regional Development. In 2015 she was designated rapporteur by the S&D group in the European Parliament for the EURES network, whose aim is to boost the employment ratio in the EU. In 2015, social democratic women proposed a Pact to the national political forces which aims to protect women from domestic violence. This was an initiative of Viorica Dăncilă, then the acting chairman of the organization, brought up at the OFSD Summer School in Mamaia, on 28-30 of August. In October 2015, she was elected President of Social Democratic Women's Organization. As President of OFSD, Viorica Dăncilă asked PSD leaders to ensure a quota of at least 30% female candidates on the lists of the Social Democratic Party during elections. The proposal was approved by the PSD leadership.